Cheng Tang - After the Battle of Mingtiao, the new Emperor Tang quickly consolidated his power. He enslaved the Xia peasants and moved the Chinese capital to the city of Yin. 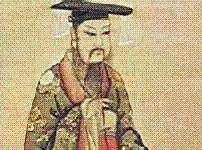 According to Sima Qian, he ruled for 30 years and his reign is regarded as a prosperous and successful one.